Dr. Robert Levy earned his medical degree at Stanford University, where he also received his Ph.D. in neurosciences and completed a postdoctoral fellowship. He performed a second postdoctoral research fellowship and his residency in neurological surgery at the University of California, San Francisco, where his mentors included Dr. Howard Fields, Dr. Charles Wilson, and Dr. Yoshio Hosobuchi. He then moved to Northwestern University where he rose to the level of Tenured Professor of Neurological Surgery, Physiology, and Radiation Oncology at the Feinberg School of Medicine. During this period, he served as Acting Chairman of the Department of Neurological Surgery. He was then recruited to serve as Professor and Chairman of the Department of Neurological Surgery and Co-Director of the UF Health Jacksonville Neuroscience Institute at the University of Florida College of Medicine in Jacksonville, FL. He most recently served as the Founding Director of the Marcus Neuroscience Institute and Director of the Harvey Sandler Center for Neurosurgery in Boca Raton, FL. Dr. Levy has authored several textbooks and published 300 peer reviewed journal articles. He has been the recipient of many national and international honors and awards and has been listed in the Best Doctors in America. His current research involves novel applications of neurostimulation and targeted drug delivery to the brain. He has assisted with the design and implementation of multiple new neuromodulation technologies and instruments. Dr. Timothy Deer was born and raised in the small town of Chesapeake West Virginia, USA. Since the 1990s, in his medical practice and academic endeavors he has originated many ideas that have been incorporated in the mainstream of present day theory and practice of Interventional Pain Management. Dr. Deer completed his medical school education at West Virginia University where he was an Alpha Omega Alpha honor student at the top of his class. After medical school Dr. Deer attended the University of Virginia School of Medicine where he did his training in Internal Medicine, Anesthesiology, and Pain Medicine. Since the year 2000, Dr. Deer has held numerous appointments including the Chairman of the American Society of Anesthesiologist committee on Pain Medicine. This 48,000 member group represents more pain clinicians than any other organized body. Dr. Deer has also been President of the West Virginia Society of Anesthesiologists, President of the West Virginia Society of Interventional Pain Physicians, and Representative to the Carrier Advisory Committee to Medicare. In 2015, Dr. Deer began a three-year term as President of the International Neuromodulation Society, in addition to serving on the Board of Directors of the American Academy of Pain Medicine. He is a past member of the Board of Directors for the North American Neuromodulation Society and the American Society of Interventional Pain Physicians. Dr. Deer is the author of more than 100 peer-reviewed articles on the topic of interventional pain treatment, has edited a critically acclaimed atlas on implantable devices, and edited a best-selling comprehensive textbook on multidisciplinary pain treatment. In addition he has been active in peer review and is on the editorial committee for the journals Neuromodulation: Technology at the Neural Interface, Pain Medicine and Pain Physician. 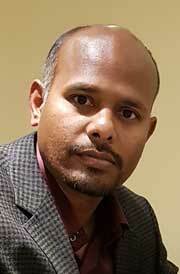 He serves as associate editor for Neuromodulation: Technology at the Neural Interface. Dr. Deer has taught extensively on the topic of neuromodulation. He has lectured on the topic of spinal cord stimulation and intrathecal drug infusions throughout the United States, and also in Europe, Australia and Asia. He has taught cadaver techniques to more than 1,000 fellows and practicing physicians. Dr. Deer is currently involved in several pivotal FDA-approved studies and international research collaborations. He is also involved with new product design on a number of new devices. Dr. Deer's future plans are focused on the advancement of the field of Pain Medicine and globalization of access to new and advanced techniques throughout the world. Konstantin V. Slavin, MD, is a professor of neurosurgery in the University of Illinois at Chicago where he heads the section of Stereotactic and Functional Neurosurgery. Dr. Slavin obtained his degree in Azerbaijan State Medical Institute in Baku, USSR in 1988, and completed his neurosurgery training in Moscow and then again in Chicago. In addition to neurosurgery residency in University of Illinois (1994-2001), he completed fellowship in functional neurosurgery in Portland, Oregon (1998-1999) and went through special training in Ankara, Turkey and Grenoble, France in 2000. Clinical interests of Dr. Slavin include all applications of surgical neuromodulation, including treatment of pain, movement disorders, epilepsy and psychiatric diseases. He is particularly interested in treatment of facial pain, cancer-related pain, Chiari malformation, stereotactic radiosurgery, and all aspects of functional neurosurgery. He authored and co-authored more than a hundred of chapters and peer-reviewed articles, edited a book on Peripheral Nerve Stimulation, and presented at countless educational events and professional conferences. He is now an associate editor of Neuromodulation, Neurosurgery, Surgical Neurology International and a member of editorial boards of several other professional journals. Dr. Slavin’s research interests parallel his clinical expertise and include practical aspects of neuromodulation, multitude of prospective clinical studies and pioneering research in spinal cord stimulation for cerebral vasospasm and deep brain stimulation for tremor, Parkinson disease and depression. Dr. Slavin has received many clinical and professional awards, including “Most Compassionate Doctor,” and for many years has been included in the prestigious “Top Surgeons” and “Best Doctors” lists in USA. 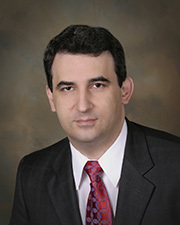 He is currently a Vice-President of the American Society for Stereotactic and Functional Neurosurgery, member of Executive committee of the Joint Section on Pain of the American Association of Neurological Surgeons and Congress of Neurological Surgeons, and Director-at-Large of the North American Neuromodulation Society and the International Neuromodulation Society. He also serves on Medical Advisory Board of the Facial Pain Association (formerly Trigeminal Neuralgia Association). Dr. Robert D. Foreman, PhD is George Lynn Cross Research Professor Emeritus in the Department of Physiology at The University of Oklahoma Health Sciences Center in Oklahoma City, Oklahoma. He has published more than 220 articles in peer reviewed journals, and his research was supported by the National Institutes of Health throughout his career. Dr. Foreman is Past President of the North American Neuromodulation Society. In addition, he received the Distinguished Service Award from the society in 2013 and the Lifetime Achievement Award in 2018. He also served as Treasurer of the International Neuromodulation Society. Presently he is Acting Editor-In-Chief and Section Editor in Basic Science for the journal Neuromodulation: Technology at the Neural Interface. Tia Sofatzis graduated from the University of California at Berkeley, with a B.A. in American and English Literature. 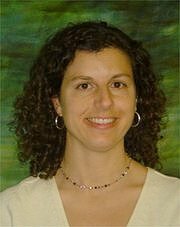 Tia has been the Managing Editor of Neuromodulation since its inception in 1998, and has worked in her role with the INS since 2001. She is perpetually inspired by the people who are working wonders in this field. Nancy Garcia received an honors bachelor’s degree in biology from the University of California, Santa Cruz, and a master’s in journalism from the University of Michigan, where she studied print and broadcast journalism. She joined the INS in 2011 as the public education and website project manager. With a background in carrying out lab projects as well as science writing, she enjoys the international nature of research collaborations. Having served on an educational policy committee in high school, and received college credit for conducting patient education, then starting a professional association as a member of the news media, and finds the INS position merges many of those interests. Mary Bockman Price graduated from The Pennsylvania State University with a bachelor of science degree in business management, and a master of arts degree in counseling psychology from Argosy University. 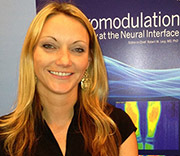 Mary has served as the Editorial Assistant of Neuromodulation since 2009. Mary currently resides in Huntsville, Alabama. She greatly enjoys working for the Society and the journal during this time of growth. Noemi Estela Rosenfeld was born in Buenos Aires, Argentina and graduated from the Faculty of Medicine of the University of Buenos Aires (UBA) July 1977. Also in Buenos Aires, on April 9, 1980 was awarded by the Association of Anesthesiology of Buenos Aires (AAARBA) with a post graduate as anesthesiologist. One year later, on March 30th, 1981 she received the title of Specialist in Anesthesia awarded by the Faculty of Medicine of the University of Buenos (UBA). She has an expertise in pain medicine and palliative care, awarded by the Foundation for the Study, Research and Treatment of Pain, of the Association of Anesthesiology of Buenos Aires (AAARBA) in Buenos Aires, December 20, 1996. She is a medically certificated anesthesiologist, granted by the board of certification of medical professionals founded under the auspices of the National Academy of Medicine, in Buenos Aires. Also has a degree in Argentine Program in palliative care-FEMEBA, with final evaluation, from May to November 2000. Amongst others, her participation in institutional work is: Member of the Board of Directors of the Argentina Association for the study of pain (AAED) between the years 1998 and 2009; Secretariat of records and publications of the XV Argentine Congress of pain and VI Congress of pain for nursing in Buenos Aires, which took place on October 21st - 23rd 1999. She also took place as a Member of the Scientific Committee of the XVI Argentine Congress of pain and VII Congress of pain for nursing in Buenos Aires, 19 and 20 October 2001. All through the years 2002 to 2009 she participated as a Member Steering Committee Latin American federation of Associations for the Study of Pain in FEDELAT. Later on in 2001 she was named General Secretariat of the Board of Directors of the AAED. First for the period of 2001-2003, then reelected from 2003-2005. Contemporarily from 2003-2005 took upon the role of Secretariat of the Pain Committee of Argentine Medical Association. 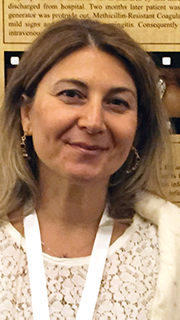 When her period of Secretariat of the Pain Committee of Argentine Medical Association concluded, she was named Chairman of the Board of Directors of the AAED from the year 2005 to 2007. She was named Chairman of the Board of Directors of SANE from the year 2017 to 2019. She is also member of the International Association for the Study of Pain, IASP; Medicine and Palliative Care Argentine Association (AAMYCP); International Neuromodulation Society (INS); Member of the Board of Directors of Argentine Neuromodulation Society (SANE - INS chapter); Argentine Association of Anesthesia, Analgesia y Reanimation of Buenos Aires (AAARBA); Argentine Association for the Study of Pain (AAED - IASP chapter); Federation of Latin American Associations for the Study of Pain (FEDELAT) and of the World institute of pain (WIP). During several international congresses she was a part of the organizing committees: she participated as a member for the Local Arrangement Committee IASP 15th World Congress on Pain, Buenos Aires, Argentina 2014; Member of the Organizing Committee of the XVIII Argentine Congress of pain, Buenos Aires, September 6th -8th, 2007; Member of the Scientific Committee of the XVIII Argentine Congress of pain, Buenos Aires, September 6th – 8th, 2007; President-outbound from the Board of Directors of the AAED from the year 2008 through 2010. In her personal practice, she has been part of the anesthesiologist staff department since 1989; and as Coordinator in pain management unit since 1997 in General Acute Disease Public Hospital Parmenio Piñero, Buenos Aires, Argentina, up to 2017. These are the latest Poster Presentations: “Baclofen therapy in Pelizaeus–Merzbacher disease (PMD)”, “H-Reflex Assessment”, INS 13th World Congress Edinburgh, 27 May and 1st June, 2017, Edinburgh, UK. Oral Presentation: “Baclofen therapy in Pelizaeus–Merzbacher disease (PMD)”, “H-Reflex Assessment”, INS 13th World Congress Edinburgh, 27 May and 1st June, 2017, Edinburgh, UK. “Small Fiber Syndrome Pathology. Pathophysiology of a Non Frequent Finding in Adolescents. Diagnostic. Approaches in Painful Conditions. A Case Report”. Hellenic Society of Pain Management and Palliative Care (PARH.SY.A.) Anesthesiology Department, Pain and Palliative Care Center, University, Athens, May 25-27 2017, Rodos Island, Greece. “Algorithm for interventional therapy for Klippel-Trenaumnay Syndrome”, 16th World Congress on Pain, September 26-30, 2016, in Yokohama, Japan. “Use of Imaging of Sacral Spine & Sacroiliac Joint“in 4th World Congress of Regional Anaesthesia & Pain Therapy 24-28 November 2014, Capetown, South Africa. “Peripheral Nerve Field Electrical Chronic Stimulation for the treatment of refractory Sacroiliac Pain: Up-date Case Report” in the 15thWorld Congress on Pain 6th - 11th October 2014, Buenos Aires, Argentina. "Pain and Educational Center in a Public Hospital in Buenos Aires, Argentina", 13th World Congress on Pain, International Association for the Study of Pain, Montreal, 29th August –2nd September 2010. In teaching activities she worked from 2011 up to 2013 with a health team as member of the National Programme of Public Health in the Ministry of National Health. Consensus for physician consultation: “Guidelines for treatment of chronic pain”. Ministry resolution 105/2013. At Universidad Favaloro, Faculty of medicine, graduate school, “interventionism in pain", Buenos Aires, since 2012. At Argentine Association of Anesthesia, Analgesia y Reanimation of Buenos Aires (AAARBA) and European Committee for Teaching in Anesthesiology “interventionism in Chronic pain", 7-9 June 2012; Buenos Aires, Argentina; Co-Director the "Theoretical and practical course in pelvic pain", dictated by AAED and society of Obstetrics and Gynecology of the province of Buenos Aires (SOGBA), Faculty of Medicine UBA. Load time: 56 hours with final evaluation. 2006. 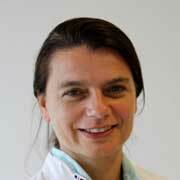 As a founder and co-director she dictated: "Practical and theoretical management on pain”; since 2005. Co-director in Post-Graduate Course in Pain management for health workers. August-November 2016, Buenos Aires, Argentina. “Behavior in opioids treatment”, Postgraduate course in Psycho-oncology, September 2016, Buenos Aires, Argentina. Skype conference in “Intervention therapy in palliative care patients”, for postgraduates in palliative care; Palliative Care Foundation and National University of Cuyo, 18th August 2017, Buenos Aires-Mendoza, Argentina. As attendant the II° Theoretical and practical workshop in interventional chronic pain control of the Latinamerican federation of association for the study of pain (FEDELAT), Faculty of medicine UBA. April 16- 18 2015, Buenos Aires, Argentina. Attendance the “peripheral neuromodulation masterclass III”, with the London Forum: 30 November and 1 December 2012. Department of Anatomy, King´s College London, Guy´s Hospital Campus. London, UK. Paper Publication in Childs Nerv Syst (2014)30:1913-1995. Comparison between programmable pump and fixed-rate in children. Co-author. Dr. Richard Sullivan is a Pain Medicine Specialist and Specialist Anaesthetist at Precision Brain, Spine and Pain Centre in Melbourne, Australia. He has a public position as a pain specialist and specialist Anaesthetist at the Peter MacCallum Cancer Centre in East Melbourne and was recently successful in establishing Peter Mac as a centre for fellowship training in pain medicine. His focus is in clinical practice, research and advancing neuromodulation therapies in the private sector where he sees patients with a diverse range of conditions including post surgical pain syndromes in non-cancer patients and cancer survivors. He is a medical director and co-founding company director of a multi-site interstate outpatient pain management program focused around empowering patients in effective self-management, functional and vocational recovery and improved quality of life - The program is Precision Ascend. The program is a Network Provider for Worksafe Victoria and the Transport Accident Commission. Dr. Sullivan is a fellow of the Faculty of Pain Medicine Australia and New Zealand College of Anaesthetists and fellow of the Australian and New Zealand College of Anaesthetists. He assisted with the authorship of the current training curriculum for both the College of Anaesthesia and the Faculty of Pain Medicine. He obtained a Bachelor of Medicine, & Bachelor of Surgery (MBBS) from Otago University, New Zealand (1993 – 1998). His professional appointments include President of the Neuromodulation Society of Australia and New Zealand, Chair of the Scientific Committee, Australian and New Zealand Neuromodulation Society and a number of pharmaceutical and medical device advisory boards. He is a past Victorian Director of the Australian Pain Society. Dr. Sullivan is an invited national and international speaker on a diverse range of topics in pain medicine. 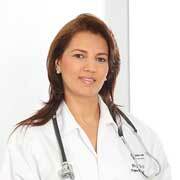 • Scientific Director of the Technical Committee of the Brazilian Society of Interventional Pain 2013/2014 Biennium. 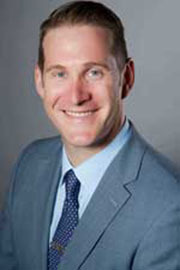 Dr. Christopher Honey received his medical degree from the University of Toronto. He completed a doctoral degree in neurophysiology at Oxford University as a Canadian Rhodes Scholar. 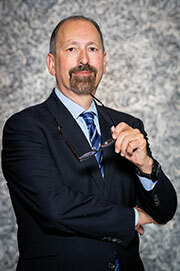 He trained in neurosurgery at the University of British Columbia and began practicing at UBC in 1996. He introduced deep brain stimulation to British Columbia in 1999 and has expanded the funding for this programme over the last decade. He has a large practice in the neurosurgical management of facial pain and also participates in the surgical treatment of spasticity. 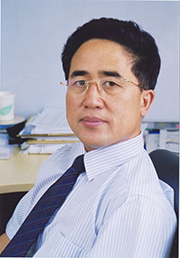 Prof. Guoming Luan is the Vice-President of Beijing Sanbo Brain Hospital of the Capital Medical University, established in Beijing in 2004. He achieved the Medical Degree in 1982 and studied under the guidance of Zhongcheng Wang, considered to be the founder of modern neurosurgery in China, at the Capital University of Medical Science, Beijing culminating in a PH.D in 1989. He gained professional research experience for two years in the University of California, Los Angeles, USA (UCLA). Afterward he devotes himself to clinical and research work about Functional Neurosurgery and focuses on the therapy of Epilepsy. In 2002, he created a technique, which is to use bipolar electrocoagulation to burn superficial cortex when treating refractory epilepsy. The latter was approved by the President of International Functional Neurosurgery later that year. This unique technique has now been adopted worldwide. Prof. Luan is currently acting editor and sub-editor for more than 9 medical journals including 'Journal of the INS', 'The Chinese Journal of Stereotactic and Functional Neurosurgery' and 'The Chinese Journal of Minimal Invasive Neurosurgery'. He has published more than 100 articles both in national and international journals. He is the ‘Editor in Chief’ of 8 books and has been published in over 10 National and Government led scientific publications. Furthermore, he has worked on 10 national, civic and ministry scientific research programs. He is not only the President of Chinese Neuromodulation Society, but also a vice-chairman of China Association Against Epilepsy and the Secretary-General of Asian Epilepsy Surgery Congress. Dr. Luz Elena Cáceres Jerez. Palliative care and pain management specialist from the Pontificia Universidad Javeriana in Colombia, analgesic interventions specialist from the Universidad de Puerto Rico, and anesthesiologist from the Universidad Industrial de Santander (UIS) in Colombia. With clinical experience as an anesthesiologist in several institutions in Colombia and as a specialist in pain management and palliative care for patients presenting acute pain, cancer pain, chronic non-oncological pain, and advanced or end-stage diseases. 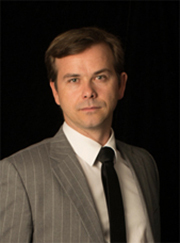 Prof. Philippe Rigoard is senior surgeon and coordinator of the Spine & Neuromodulation Unit within the Neurosurgical Department at the Poitiers University Hospital in France. He is also an Honorary Consultant in the pain clinic of Guy's and St Thomas NHS Foundation Trust hospital in London, UK; an Anatomy Conference reader at the Human Morphology Institute, Faculty of Medicine of the University of Poitiers; a researcher at Inserm CIC (Clinical Investigation Center) 802; and the research program director of the N3Lab (Neuromodulation & Neural Networks Lab) in Poitiers. He has expended a lot of effort to rebuild the INS French chapter (Société Française de NeuroModulation, SFNM), which is now represented again in the global community. While studying anatomy and morphology at National Art Institute, Beaux-Arts, Paris, from 1994-1996, Prof. Rigoard decided to enter into medicine. He received his medical degree as 1st Laureate of the Faculty of Medicine in Poitiers in 2006 and completed postgraduate medical training in spine surgery in 2008 and a fellowship in functional neurosurgery in 2009. 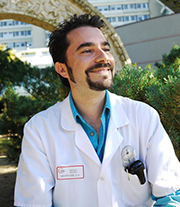 From 2002-2007 he also completed his PhD of Sciences in Poitiers, as well as several degrees including in neuromuscular diseases, acute pain, chronic pain and pain management in emergency conditions, microsurgical techniques and surgical robotics. His main research interests are neuromodulation and spine biomechanics. He has been involved in intensive scientific collaborations with several researchers worldwide, e.g., Prof. Krishna Kumar (Canada); Dr. Mehul Desai, Prof. Richard North, and Prof. Konstantin Slavin (USA); and Dr. Adnan Al-Kaisy (UK). 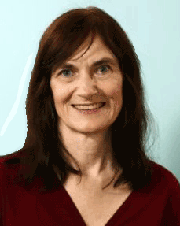 Prof. Rigoard is a reviewer for several scientific journals. He is also a member of professional societies, including the International Association for the Study of Pain, International Neuromodulation Society, European Association of Neurosurgeons, French and North American Society of Spine Surgery. Prof. Rigoard has also published dozens of journal articles, abstracts, and book chapters, and has lectured at more than 100 conferences and symposia worldwide. Prof. Paresh Doshi is the Director of Neurosurgery and Stereotactic and Functional neurosurgery at the Jaslok Hospital and Research Centre, Mumbai. He has been a pioneer in functional neurosurgery in India. He had been trained in stereotactic and functional neurosurgery at the National Hospital for Neurology and Neurosurgery, London and the Maudsley hospital, London. He further obtained selective functional neurosurgical experience from Prof. Benabid, Prof. Marwan Hariz, Prof. Marc Sindou and others. He established the first dedicated department of Functional neurosurgery in India in 1997. The functional neurosurgical program at his institute has several firsts to its credit, e.g. first deep brain stimulation surgery (DBS) in India (1997), first surgery for obsessive compulsive disorder (2010), first DBS surgery for depression in Asia and Australia (2013), first occipital nerve stimulation for migraine (2012) etc. It offers functional neurosurgical fellowship for a period of one year. This is one of the few centres around the world where comprehensive functional neurosurgery training for all subspecialties of functional neurosurgery is available, i.e. movement disorders, pain, epilepsy, spasticity and psychiatric disorders. It also has the widest spectrum of surgical procedures being performed, ranging from rhizotomies to lesional surgeries to neuromodulation. Prof. Doshi, has been on the board of several organizations, academic and non-academic. 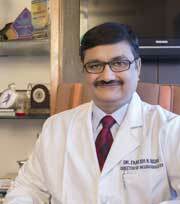 He has recently served as the President of the Indian Society For Stereotactic And Functional Neurosurgery (ISSFN). He is on the board of WSSFN and AASSFN societies. He is the trustee of Parkinson’s care trust, a non-governmental organization catering to Parkinson's disease patients. He has been awarded several awards, including the Indo-American young achiever’s award and Medscape India award for excellence in neurosciences. He has published extensively and is on the editorial board of many journals. He has been invited in numerous national and international meetings to deliver lectures. Prof. Doshi is passionate about functional neurosurgery. His aim is to empower every neurosurgical department in his country to perform some part of functional neurosurgery. He is the founding President of The Neuromodulation Society (India). 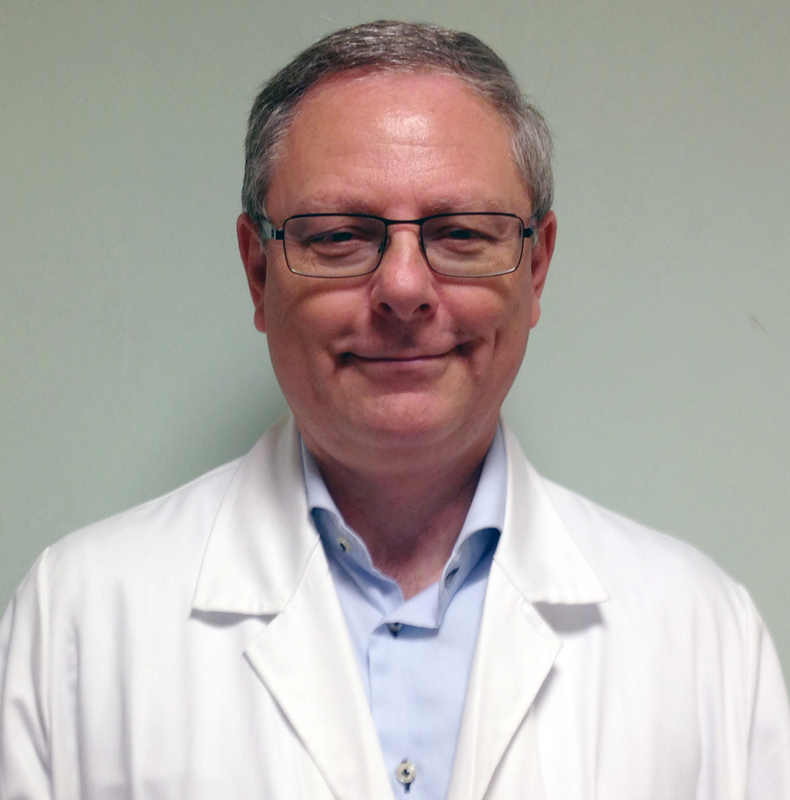 Graduated in 1985 from Pavia University, Dr. Alessandro Dario had speciality in Neurosurgery in 1990; from 1991 he serves at the Neurosurgical Clinic of Insubria University where he performs clinical activity and university teaching. Other didactic activity consists of lessons at the School of Nursing Professionals from 1990 to 1996, and he is the chief of practice-theoretical instruction in favor of medical staff at four major hospitals in Lombardy, Veneto and Emilia-Romagna. He participated as a speaker and teacher in 50 national and international congresses and courses and as a participant in about 100 congresses. He has 150 scientific works in abstract or extended form including more than 50 publications indexed in Medline, mainly concerning spasticity and peripheral nerve stimulation. His clinical activity is in the field of stereotactic and functional neurosurgery, mainly concerning spinal cord or peripheral nerve stimulation, chronic intrathecal infusion, motor cortex stimulation and deep brain stimulation for movement disorders, including spasticity. Dr. Dario is a reviewer for several scientific journals. He is also a member of six professional societies, including the International Association for the Study of Pain. To date he is President of the Italian Chapter of INS. 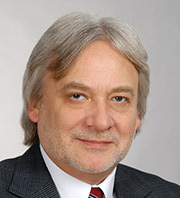 Prof. Wojciech Maksymowicz, MD, PhD was born on the 24th of May 1955 in Włocławek, Poland. In 1980 he graduated from the Medical University of Warsaw, where he also received his doctorate in the same year and later a post-doctoral degree in 1994. During his 12 years of work in Neurosurgery Clinic at the Medical University of Warsaw he received his 1st and 2nd degree specialization in the range of neurosurgery and neurotraumatology in 1983 and in 1987. At that time he performed the first implantations of the epidural spinal cord stimulations in Poland in cooperation with Restorative Neurology at Baylor College of Medicine in Houston. He expanded his neurosurgery knowledge during a five-year European Neurosurgery Course organized by European Association of Neurosurgical Societies. He completed the course in 1992 in Jerusalem. In 1990 he worked scientifically in the Clinic of Neurosurgery Wessex Neurological Center of the University in Southampton. Over the period 1997-1999 he was the Minister of Health and Social Welfare of the Polish Republic, leading the implementation of the huge healthcare reform. After that he became the head of Neurosurgery Department in the Central Clinical Hospital of the Ministry of Interior in Warsaw. On a proposal from the Scientific Council of Military Medical Institute in 2006, he received the professor’s degree. Since 2007 he has been the Dean of the Faculty of Medical Sciences at the University of Warmia and Mazury in Olsztyn, at the same time being the head of the Department of Neurology and Neurosurgery, Neurosurgery Clinic and Laboratory of Research on Stem Cells at this university. He is the author of over 120 publications and scientific reports and also the member of Scientific Council to the Health Minister of Poland. 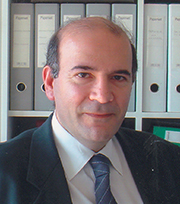 Professor of Neurosurgery and Chairman, Department of Neurosurgery, University of Athens, Evangelismos General Hospital, Athens, Greece (2000 –). Graduate of Ionnidios School of Piraeus (1972) and Medical School, University of Athens (1978). Certificate of Educational Commission for Foreign Medical Graduates USA (1979). Military service in the Greek Navy (1979 -1981). Specialty Training: Department of Surgery, General Hospital of Mytilene (1981-1982), Department of Neurology, University of Athens, Eginition Hospital (1981-1982) and Department of Neurosurgery, Evangelismos General Hospital, Athens (1983-1986). Completion of Specialty Training in Neurosurgery, Athens (1986). Neurosurgical Fellow, Massachusetts General Hospital, Harvard Medical School, Boston, USA (1986 -1989) M.D. Thesis, University of Athens (1988). Neurosurgical Registrar, Institute of Neurological Sciences, University of Glasgow, Glasgow, Scotland (1990-1991). Neurosurgical Registrar, National Centre for Neurosurgery, Dublin, Ireland (1991-1993). 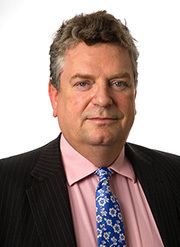 Senior Appointments: Consultant Neurosurgeon Walsgrave Hospital, Coventry, England (1993), Midland Centre for Neurology and Neurosurgery, University of Birmingham, England (1994), and University Hospital Coventry and Warwickshire, England (1995-1999). Honorary Senior Clinical Lecturer, University of Warwick, England (1995-1999). Lead Clinician, Dept. of Neurosciences, University Hospital Coventry and Warwickshire, England (1997-1999). Editorial Work: Associate Editor, Yearbook of Neurology and Neurosurgery (1997-). 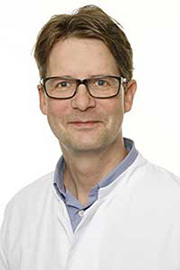 Associate Editor, Yearbook of Medicine (2003-), Reviewer in Neuromodulation (2003-) and Acta Neurochirurgica, The European Journal of Neurosurgery (2003-). Editor of the textbook: An Introduction to Neurosurgery, Parissianos Medical Publishers (in Greek), Athens, (2003). Membership of Societies: President, Hellenic Neurosurgical Society (2001-2003). 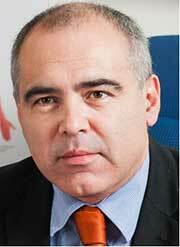 President, South East European Chapter, International Neuromodulation Society (2004-). Member, Executive Committee, European Society for Functional & Stereotactic Neurosurgery (2000-). American Congress of Neurological Surgeons (1995-). Society of British Neurological Surgeons (1995-), Society for Research into Higher Education (1995-), Training Committee, European Association of Neurosurgical Societies (2003-). Special Neurosurgical Interests: epilepsy surgery, movement disorders surgery, vascular surgery, neurotrauma, skull base surgery and neuromodulation. Editor of 10 Turkish medical books on pain, more than 40 Turkish pain chapters, two pain chapters in International Pain (Interventional Spine – an algorithmic approach), SAUNDERS, Interventional Pain Management, SAUNDERS. Dr G Baranidharan is a Consultant in Anaesthesia and Pain Medicine at the Leeds Teaching Hospitals NHS trust and Honorary Clinical Associate Professor at the University of Leeds. He completed his UG from Madras Medical College and his anaesthesia and Pain Medicine training from Yorkshire Deanery and McMaster University, Canada. He is active in research and teaching. Most of his research activities are on Neuropathic pain and Neuromodulation. He has a special interest in managing pain of visceral origin. He has had a significant contribution in developing a National Neuromodulation Database for the United Kingdom. He is currently the Regional advisor for Pain Medicine in Yorkshire and also teaches in various courses nationally and internationally. He has successfully run his annual cadaver workshop in Leeds for the last 10 years. He is an elected Board member and Examiner for the Faculty of Pain Medicine. He enjoys cycling, running, cricket and Badminton in his spare time. .
Dr. Hunter is an interventional pain management physician practicing in New York City, holding board certifications in Physical Medicine & Rehabilitation and Pain Medicine. 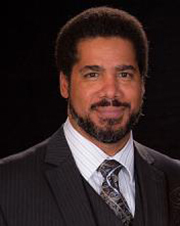 Dr. Hunter earned his medical degree from Drexel University College of Medicine. Thereafter, he completed a residency in PM&R at New York University followed by a Pain Medicine fellowship at the Weill Cornell Medical Center. Dr. Hunter went on to found the Ainsworth Institute of Pain Management in New York City where he serves as the Executive Director. In addition, he holds an appointment as Assistant Clinical Professor in PM&R at the Icahn School of Medicine at Mount Sinai Medical Center. Prior to attending medical school, Dr. Hunter worked as a research assistant at the Miami Project to Cure Paralysis investigating embryonic stem cells to treat paralysis, Parkinson’s disease and chronic pain. He continued his research in medical school studying stromal stem cells (now known as mesenchymal) to treat paralysis – his work was amongst the earliest research on this particular cell line, which is now the mainstay of regenerative medicine. Dr. Hunter continues to be active in research, serving as the principal investigator on a number of clinical trials on emerging neuromodulation technologies and regenerative medicine. He has a keen interest in teaching and is well-published with his work appearing in a number peer-reviewed journals and textbooks on a wide variety of topics that include DRG stimulation, pelvic pain, regenerative medicine, CRPS, amputee pain, advanced spinal cord stimulation techniques, and targeted drug delivery. 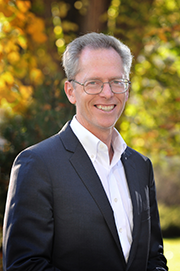 Dr. Pope is the President and CEO of Summit Pain Alliance in Santa Rosa, California. He serves the North American Neuromodulation Society (NANS) as a Director-at Large, Advocacy and Policy Committee Co-chair, and is currently serving his second year as the Annual Planning Meeting Co-Chair. He completed his undergraduate education at Purdue University in Chemistry, where he studied tumor-targeting radiopharmaceuticals and receive a grant. He then went to Medical School at The Indiana University School of Medicine and the completed his Anesthesiology Residency at Vanderbilt University Medical Center. He went on Fellowship in Pain Medicine at the Cleveland Clinic. Following Fellowship, he advocated for pain care access and therapy as a congressional fellow to a member of the House of Representatives Energy and Commerce Sub-committee on Health. Dr. Pope served as meeting Co-Chair for the inaugural Advanced Neuromodulation lab for the INS meeting in Montreal, and is involved in many committees with the INS, serving as the chair of the Young Neuromodulator Committee, The CME and Education Committee, is co-chair of the upcoming INS Advanced Neuromodulation Lab in Edinburgh. Dr. Pope is President Elect for the California Society of Interventional Pain Physicians (CASIPP) and is also serving as Co-Chair for the Special Interest Group in Neuromodulation for the American Society of Regional Anesthesia (ASRA). 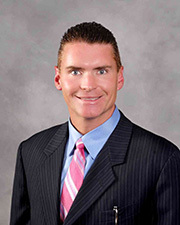 Dr. Pope has served as liaison to the FDA for numerous companies, both in and outside od the pain and neuromodulator space, and is the Regulatory and Marketing Vice President of AGR, an anesthesia gas company. 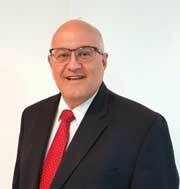 He serves on numerous task forces for appropriate pain care and industry advisory boards. Focused on education, Dr. Pope is centered on improving outcomes and safety through research and curriculum development. He is well published in many peer-reviewed journals, authored numerous chapters, textbooks and atlases, while presenting at regional, national, and international meetings. Working foundationally on on comprehensive workshops for fellows, residents, and physicians in practice, both domestically and internationally, Dr. Pope and his colleagues are working towards an improved neuromodulation space. 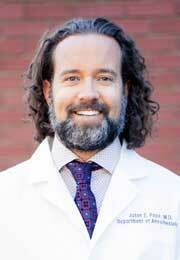 Dr. Poree holds the position of Clinical Professor in the Department of Anesthesia at the University of California San Francisco (UCSF) where he serves as the director of the Neuromodulation service. He started his neuromodulation career as a basic science researcher at UC Berkeley where he investigated the analgesic properties of CNS hormones. He continued his research at Johns Hopkins University in the department of Biomedical Engineering where he investigated the neural pathways involved in spinal cord stimulation. He decided to apply his research to medical practice and enrolled at Stanford University where he earned his medical degree and completed his residency in anesthesia while continuing to conduct research on new non-opioid based pain medications. He then completed an interventional pain fellowship at UCSF. He founded and served as medical director of a private practice comprehensive pain management clinic for the next 15 years. During this time, he was able to consult with neuromodulation companies and completed a pivotal multi-center trial for DRG stimulation. He returned to academia 2 years ago to help advance the use of neuromodulation technologies at the University of California San Francisco Pain Management Center. He continues his academic research on the investigation of novel spinal cord stimulation systems. For the past 8 years he has served on the North American Neuromodulation Society board of directors where his focus is on education and credentialing. He has co-authored several publications in the neuromodulation field including spinal cord stimulation and intrathecal therapy training guidelines. Dr Marc Russo was born in Sydney, Australia and commenced medical studies at Sydney University graduating in 1989. He undertook training in anaesthesia, intensive care and pain medicine with postgraduate qualifications as a Fellow of the Australian and New Zealand College of Anaesthetists and Fellow of the Faculty of Pain Medicine. He setup in 1999 a large multidisciplinary pain clinic in Newcastle, NSW that now employs over 40 clinical/allied health/administrative and research individuals making it one of the largest such units globally. He has been involved in neuromodulation since 1999 with spinal cord, peripheral nerve, occipital, sacral nerve stimulation and intrathecal therapy for both pain and spasticity. He established the Australian chapter of the INS and has served as Secretary and President. He established the Australian Pain Research Center and has been run over 40 trials including device and analgesia trials for pain relief. He is a reviewer for the journals Neuromodulation and Anaesthesia & Intensive Care. He has lectured nationally and internationally and led teaching courses in Australia, New Zealand, Singapore and Thailand. 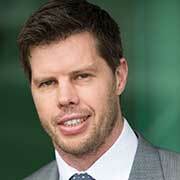 He is an active member of the Australian Pain Society. His current interests are in CRPS management, new frontiers in neuromodulation and combination pharmacology of neuropathic pain. He has a son James whom he hopes may someday be a future Wallaby and enjoys music, skiing and wine but not necessarily all at the same time. Dr. Simon Thomson is a consultant in Pain Medicine and Neuromodulation at Basildon and Thurrock University NHS Trust since October 1992. He works in a private capacity at Nuffield Health Brentwood, The Chelmsford and Spire Hartswood. He holds an interest in multidisciplinary pain management, pain and neuromodulation, education, and clinical research. Since 2012 he is fulltime in pain medicine and neuromodulation. In September 2009 he was elected as president of the International Neuromodulation Society and re-elected to serve a second term until June 2015. He was elected onto council of the British Pain Society and served from 2005 to 2008. 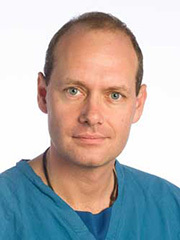 He became a fellow of interventional pain practice (FIPP) in 2002. He founded the Neuromodulation Society of UK and Ireland (NSUKI) in 2000. He led the INS team and executive board to create the INS Education and Public awareness strategy and to establish the INS as a flagship for all matters pertaining to neuromodulation. Under his Presidency INS membership, chapter formations and INS congress attendees more than doubled. He has established INS global regional meetings between biennial congress years. He has developed and commissioned the UK neuromodulation registry project. To do these projects he has raised over $500,000 in grants from industry partners. 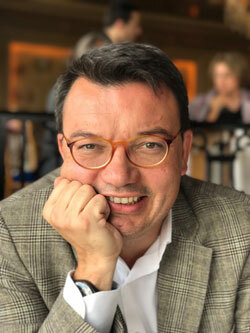 He has been chair of the scientific committee for three large successful international congresses in London in 2011, Berlin in 2013 and Montreal 2015. He created the popular Neuromodulation Innovations symposia that bring leading scientists, entrepreneurs, venture capitalists, clinicians and consolidating companies together and the Basic Neuromodulation Science satellite symposia. Key scientific contributions have been through the PROCESS and EPOS studies. Both his current research interests are of high quality randomised clinical trials of spinal cord stimulation for chronic refractory angina pectoris (RASCAL), prospective observational studies of outcomes after spinal cord stimulation (SCS), investigational studies of the effects on quantitative sensory testing in patients with neuropathic pain treated with SCS, the effect of frequency on SCS outcomes and the identification of SCS biomarkers. He was specialist adviser to ScHARR (University of Sheffield) on a Health Technology Assessment concerning SCS in refractory neuropathic and ischaemic pain (2007 to 2008) and contributed to the NICE technology appraisal (TA159) in that capacity. He was the first in the UK to publish long-term outcomes of SCS in a large personal series of patients with neuropathic and ischaemic pain syndromes and has contributed chapters to textbooks on pain management and neurostimulation for pain. He serves on editorial board of Neuromodulation: Technology at the Neural Interface. He is involved in specialist training for pain management generally and SCS and IT drug delivery training specifically. He is an advocate of pain management and neuromodulation specifically and addresses public audiences and writes articles for scientific community and popular newspapers. 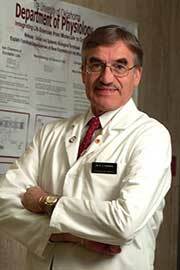 His colleagues regard him as a leader in the field of pain medicine and neuromodulation. Neuromodulation and spinal cord stimulation are transforming chronic illness management. The worldwide progress in gaining patient access to neuromodulation has been significantly helped by the efforts of Dr. Thomson. When not working he enjoys his family and likes to ski, play tennis both real and lawn, cycle, cook and entertain. He is father to Ben, Jonny and Beth.